As a major supplier to the Australian Defence Force (ADF) Raytheon Australia believes that it has an important responsibility to give back to the broader military community in which it operates. As much as employing veterans demonstrates a commitment to the notion of mutual obligation, the company also recognises that former ADF personnel offer tremendously valuable skills and experience to private sector employers. As a company that values the skills and experience of former ADF members, Raytheon has worked to launch Australia’s first industry-led Veteran Career Translator. This online tool allows serving and ex-serving military personnel to input their skills and service information to identify how that experience might translate across to private sector careers. As an organisation that values the skills of veterans, Raytheon Australia is an official partner of Soldier On and supports the valuable work it carries out in the veterans’ community. Raytheon Australia is also a proud supporter of the Soldier On employment pledge, which guarantees all veterans and their partners/spouses an interview for any Raytheon Australia role for which they meet the selection criteria. For those who are not yet ready to formally enter the job market, Soldier On also offer a number of additional services to transitioning veterans and their family members to best prepare them for civilian employment. Their dedicated Employment Officers provide one-on-one employment support to service personnel and their family members via phone, email, Skype or face-to-face meetings at their regional centres across Australia. support individuals through the application process. 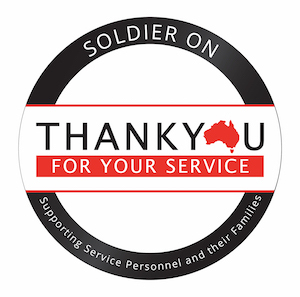 Veterans should contact Soldier On at employment@soldieron.org.au to access these services. Please select one or more filters in all three groups above to display a list of positions. There are no current positions that have been identified to match your selections. However this site is regularly updated with new roles as information becomes available so check back regularly. To view a list of current vacancies at Raytheon Australia, please click here . Below is a list of potential civilian career paths that may align to your military experience. Please note that the content on this webpage is for informational purposes only. The information has been derived from publicly available documents. Any results displayed are not intended to provide formal advice in regards to the correlation between ADF and civilian roles. Rather it is intended to be used only as an indication of roles individuals may consider when looking to transfer into the civilian workforce. If you have any feedback on this tool or any questions please contact Raytheon Australia via careers@raytheon.com.au . Copyright © 2017 Raytheon Australia.